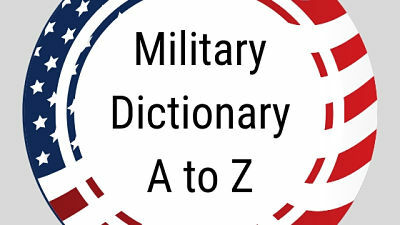 Find the 2019 DOD Dictionary of Military and Associated Terms aka the DOD Dictionary. The DOD Dictionary is designed to supplement common English-language dictionaries with standard terminology for military and associated use. The focus is to describe “what” a term is and not “how” or “why” it is used. Here are the listings organized alphabetically from A to Z. See also Official DOD Shortened Word Forms. Since 1948, military terms have been codified in the DOD Dictionary. Standardized military and associated terminology forms the foundation of joint doctrine. It enables the joint force to organize, plan, train, and execute operations with a common language that is clearly articulated and universally understood. Source: Official DOD Dictionary of Military and Associated Terms.